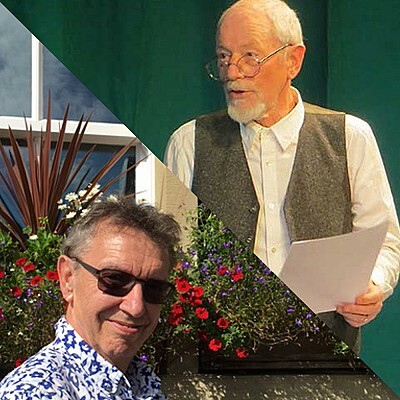 Sentinel poets Andy Blackford and John Foggin shall be reading from their book Gap Year, winner of the SPM Publications Poetry Book Prize 2016, at the Staithes Festival of Arts & Heritage on Saturday, September 9th 2017. 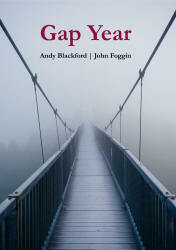 About Gap Year: Middlesbrough, 1966: The young new English teacher, John Foggin, rolled into the Lower Sixth’s Eng. Lit. lesson like a Dyson into a world of broken Hoovers. Joyce and Shelley and Gerard Manley Hopkins danced in his wake, vividly alive and slightly intoxicated. That’s how it seemed to 16 year-old Andy Blackford, anyway. Almost 50 years later, they were reunited here in Staithes. Foggin was already a much-lauded poet - Blackford’s prime contribution to high culture, the TV jingle for Um Bongo. They resolved to write a poem each, every week for a year. The result is Gap Year, a collection that has won them the SPM Publications Poetry Book Prize and was published in April 2017. 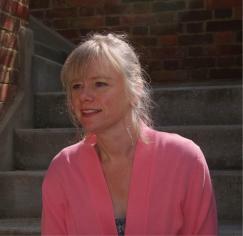 Could your next book be a prizewinning poetry collection? The SPM Publications Poetry Book Competition 2017 judged by Roger Elkin will close on September 30, 2017. This competition is for full length poetry collections in English language, on any subject, in any style. The final collection must be no more than 90 A4 pages long. For the first stage of the competition, send 20 pages of previously unpublished poetry. 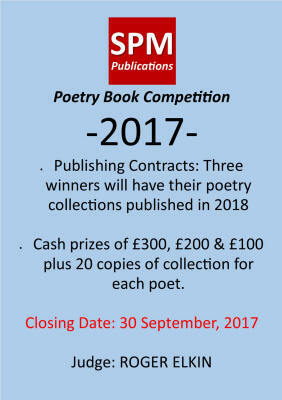 Prizes: in addition to a standard publishing contract, there will also be cash prizes of £300 (first), £200 (second) and £100 (third). Each prizewinner will also receive 20 copies of his or her book.